When the finest abrasives are used any cleaning job is possible. 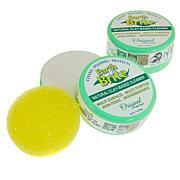 Earth Brite uses a natural, clay-based formula to clean, polish and shine your whole home. Clean countertops, polish fixtures and cut through stovetop grime in your kitchen. Make your bathroom glass and tiles sparkle. Even cooked on grill grit is no match for Earth Brite. Welcome to a brighter day. Earth Brite works as an abrasive cleaner. Cleaner may dry, as with all clay-based products. Apply a little water with the sponge applicator to soften. Failure to thoroughly wet product before use may result in scratched surfaces. Be careful not to scratch glass, polished or stainless steel surfaces. Always use the application sponges included. Earth Brite: Wet thoroughly before using and then work the moistened product into the applicator sponge before applying to any surface to be cleaned. Apply light pressure and increase pressure only as needed to clean surface. Some stains may need extra pressure and repeated cleaning. Rinse thoroughly to avoid possible clay residue after cleaning or wipe with a wet cloth to remove powdery residue. This is awesome; does a great job on Stainless Steel Frigs; cooktops; stainless Steel pots; copper pots; what can I say - get it - you won't regret it. 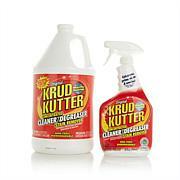 This is amazing stuff specially cleaning the sink, pots and pans, glass top stove. I just keep finding new uses for this. My stove, stainless sink, and faucets have never looked better.